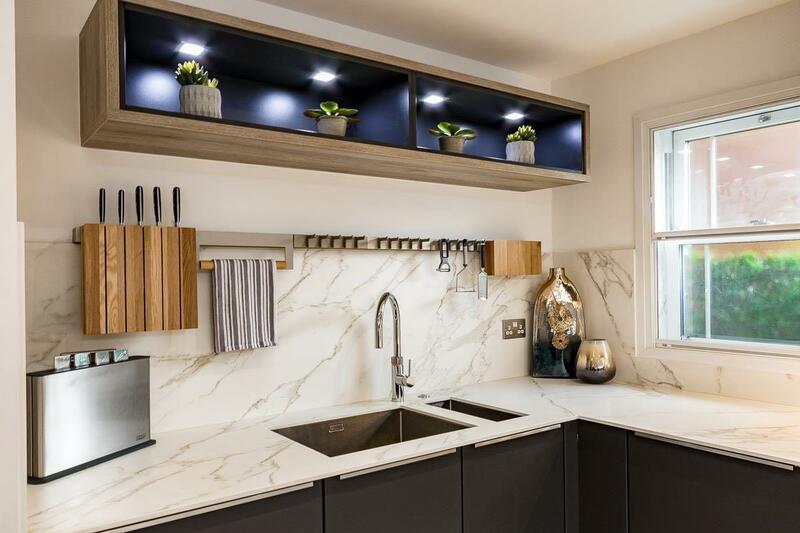 A modern décor trend at the moment is the Dark Kitchen Cabinets. Undoubtedly, going for dark colours in your kitchen, might go against the idea that a kitchen should have bright and warm colours. However, combine it with the warmth elements of the wood and the faux marble surfaces and you might be surprised at how well it works. The dark tones are dramatic and can blend well with natural elements, while the wood effect provides a more warm and organic welcoming contrast. The white tones and the veined patterns follow the characteristics of natural rock formations bringing harmony and elegance to the whole project. On the island, the surface finishing chosen is Neolith Calacatta, digitally printed for the continuity of the veins. Multiple ovens can also create a statement look. 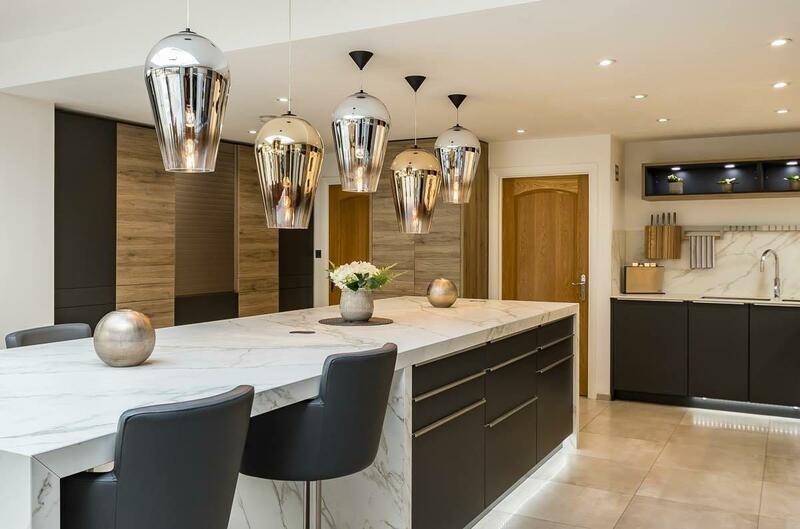 They bring in that professional quality to your cooking zone, as well as the possibility of cooking multiple dishes simultaneously, an added bonus to busy lifestyles. 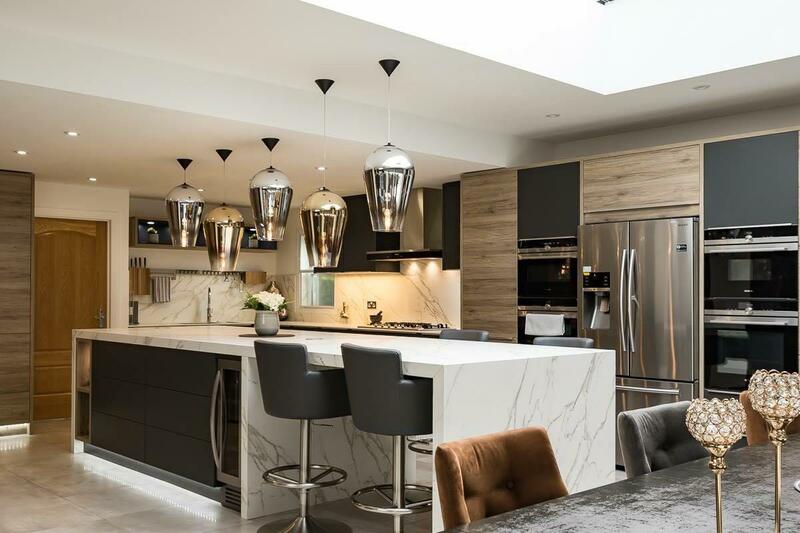 In this kitchen design, the owners have opted for integrated Siemens ovens (Microwave, Steam and Electric) to bring functionality and beauty to their kitchen. 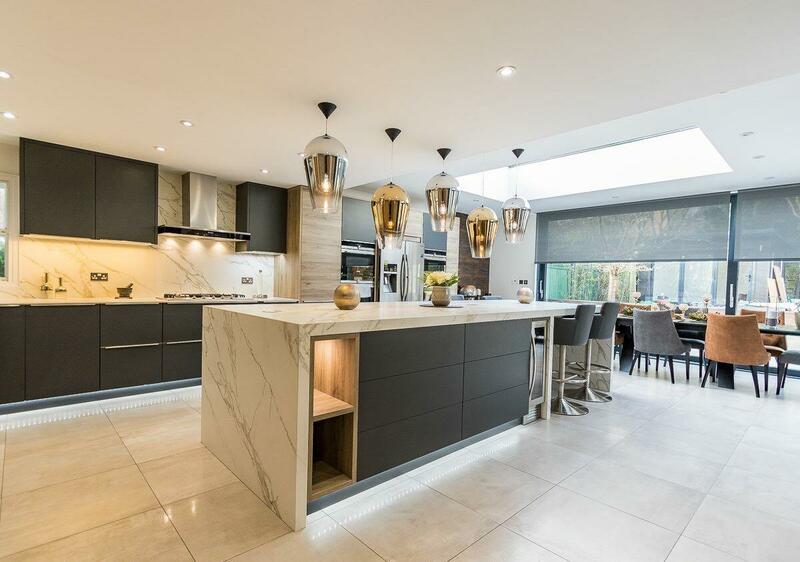 Another beautiful detail in this unique Kitchen is the transition between the worktop and the splashback, all bookmatched so that the veins continue down the splashback and along the worktop. It gives a consistent overall impression. 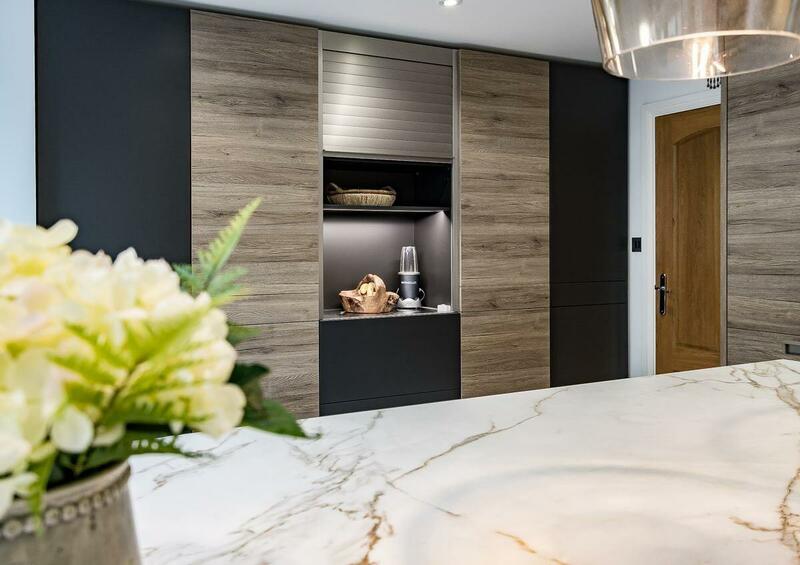 To find out more about Leicht Kitchen Cabinets and Fronts and other projects, see our Kitchen Projects Page or visit our Website.  To discuss ideas of for your own perfect Kitchen, come and see on our Showrooms in Kingston and Richmond.